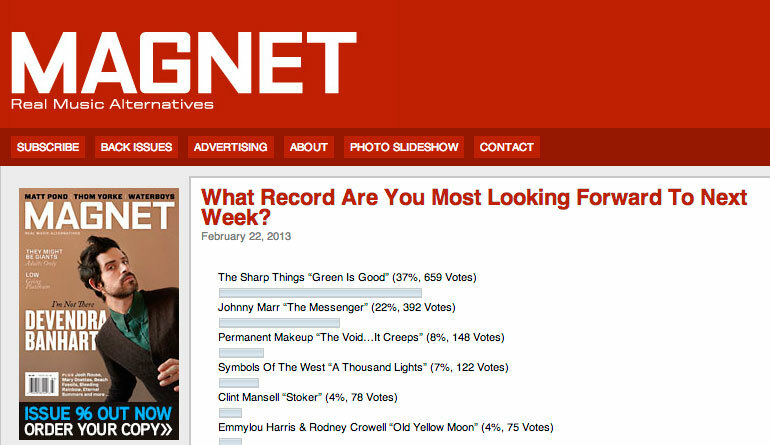 MAGNET readers vote GREEN IS GOOD most anticipated new release! We have the BEST FANS IN THE WORLD! Please vote here to keep us on top all weekend!